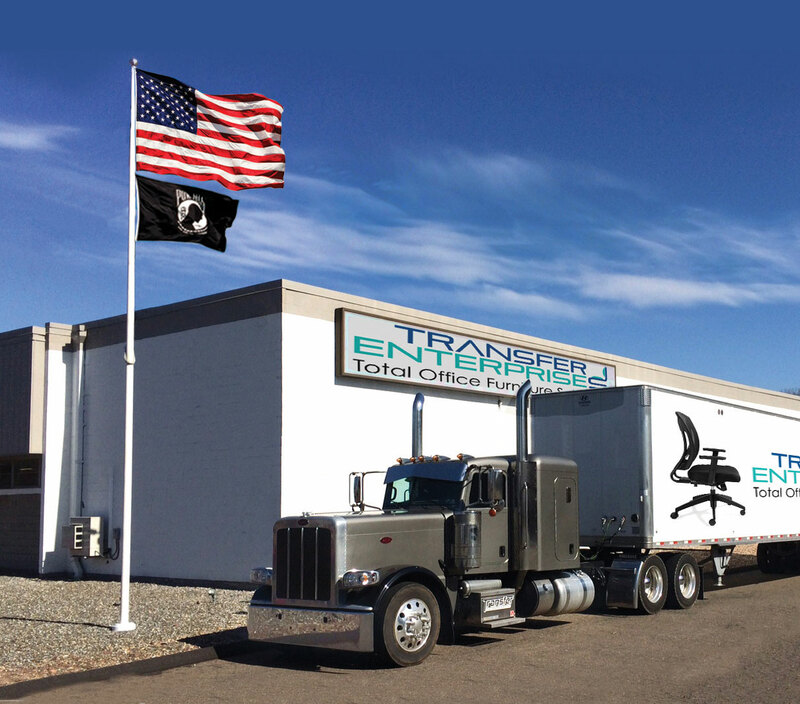 Whether your office is moving, downsizing or upgrading its décor, Transfer can provide a total simplified solution that can include everything from inventorying the products to coordinating with other required trades. Transfer’s staff works easily alongside electricians, cleaning crews and other trades, letting everyone involved complete their tasks quickly and easily. Depending on the volume and condition of the product being liquidated, your excess product can result in cash or credit toward the purchase of product for a new office. Transfer always provides fair market value for all furniture and will provide you with an upfront, no-hassle valuation of all of your assets. And since our customers always come first, we can even make recommendations about when to donate used furniture for tax credit instead of putting it through a buyback system. 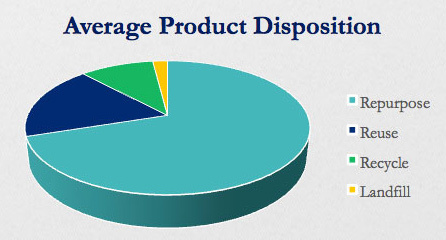 And of course, having Transfer Enterprises liquidate your excess product helps the environment. “Going green” has become a trend, but recycling office furniture was how Transfer Enterprises was started, and our recycling services have kept over 2 million pounds of furniture out of landfills. These services are individually quoted on-site and are classified into the categories below. Factors include the volume of removal, labor and trucking costs involved, the condition of the furniture being removed, and how much can be repurposed or recycled. We do not accept home furniture or bedroom furniture. Fee-based or no-credit furniture includes Staples, Office Depot and Ikea brands. Contact us today for more information. For larger scale projects, please schedule an appointment to have a Transfer Enterprises decommission representative quote your project today. Our commitment to provide environmentally responsible decommissioning solutions is what drives us to explore any method available to keep product from going into the landfill. Transfer Enterprises has established a proven track record of meeting and exceeding customer expectations both from a cost effective standpoint and overall project completion aspect thanks to our ability to repurpose, reuse or recycle the majority of the items being liquidated. For more information about Transfer Enterprises’ liquidation, valuation, inventory and buyback services, please email sales@tedesk.com, call us at 860.645.9090 to speak with our Liquidation Expert, or fill out our request form below as accurately and completely as possible. Once we receive the form, someone will contact you within 24 hours with an estimated quote and to schedule a walkthrough. How many of each product do you need removed? Do you have images or the ability to provide images? Please describe any special building requirements (such as insurance, after hours, street load or loading dock, interior building protection). Also provide any other details that might be relevant.